Holly is a Science Communications Specialist for the Quinney College of Natural Resources at Utah State University. A geographer by training, Holly received her master’s degree from the University of Colorado. In the early 90’s she led tours to nature reserves in the former Soviet republics. Then she worked 10 years for World Wildlife Fund, describing and mapping conservation priorities at overseas locations around the world. 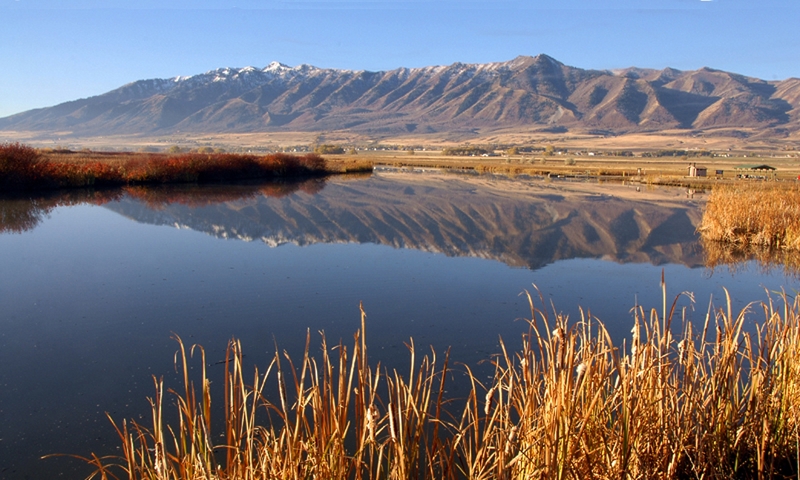 Over twenty years of professional work in great places with unique habitats and endemic species has given Holly an appreciation of what’s special within the Utah landscape. Holly and her family live in Providence, UT. Many of her stories originate as attempts to answer questions about nature posed by her curious and very observant daughter. More and more you are likely to hear this sound in Utah yards, parks and fields. [Eurasian Collared Dove, Courtesy Ryan O’Donnell, www.xeno-canto.org/98068] That’s the call of the Eurasian collared dove. Originally from Asia, this dove has been expanding its territory around the world at an incredible rate. The first sighting in Utah was in Orem in 1997. And now the doves are everywhere. So far, it doesn’t look like our native mourning dove is affected. But such rapid population explosions rarely occur without some sort of undesirable ecological consequence. In America, the Eurasian collared dove is an invasive species. But not all non-native species are invasive. “Invasive” only applies when species spread far beyond the area where they are first introduced. Luckily, not all invasive species turn out to be serious pests. Ecologist Mark Williamson suggested the tens rule. About 10% of introduced species establish lasting populations and 10% of those go on to become problems. There’s a long list of Eurasian invasives in Utah. Among them is the highly flammable cheat grass that comes from southwestern Asia. Those massive clouds of starlings? They come from Europe. Tamarisk from Eurasian deserts lines the Colorado River and tributaries. The common carp is an unwelcome Eurasian colonist of our lakes and large rivers. And the American west’s iconic tumbleweed is an invader from the Russian steppe. Why so many invaders from Eurasia? Well for the last 500 years, there has been a net outflow of Eurasians—especially Europeans—to other parts of the world. And this human population carried its biological baggage along with it—in the form of animals, plants and diseases. Some ecologists believe that the physical geography and human history of Eurasia has conditioned its species in such a way that they will consistently outcompete the species of other continents. But that’s debatable. For in the last decades the New World has started to lob some pretty competitive species over to Eurasia. For example, the American mink was brought to the Eurasian continent in the 1920s for use on fur farms. But–because of deliberate releases and accidental escapes–the mink is now common in the European wild. And it’s a pest. The American mink is taking the place of the European mink which is now threatened with extinction. Furthermore, the American mink is gobbling up populations of many ground-nesting birds. 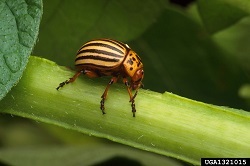 Unless you are involved in agriculture, you might not have heard of the Colorado potato beetle. But potato growers around the globe know this striped orange and brown beetle from the American southwest very well. It has a voracious appetite for potato leaves and quickly develops resistance to any chemicals used against it. And a final example: the American bullfrog is considered one of the world’s most damaging invasives. The bullfrog does amazingly well in a variety of habitats –even artificial ones like millponds, irrigation ditches and reservoirs. Its incredible adaptability helps it spread and outcompete native frogs. Moreover, it has been transmitting a deadly fungus to previously unaffected populations of frogs, toads and salamanders. Thanks to Lyle Bingham for information on the Eurasian collared dove. And to Ryan ODonnell for his audio recording from xeno-canto.org. 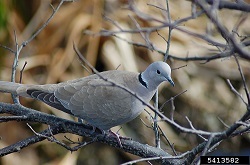 For more information on the Eurasian collared dove and other invasive species go to www.wildaboututah.org. 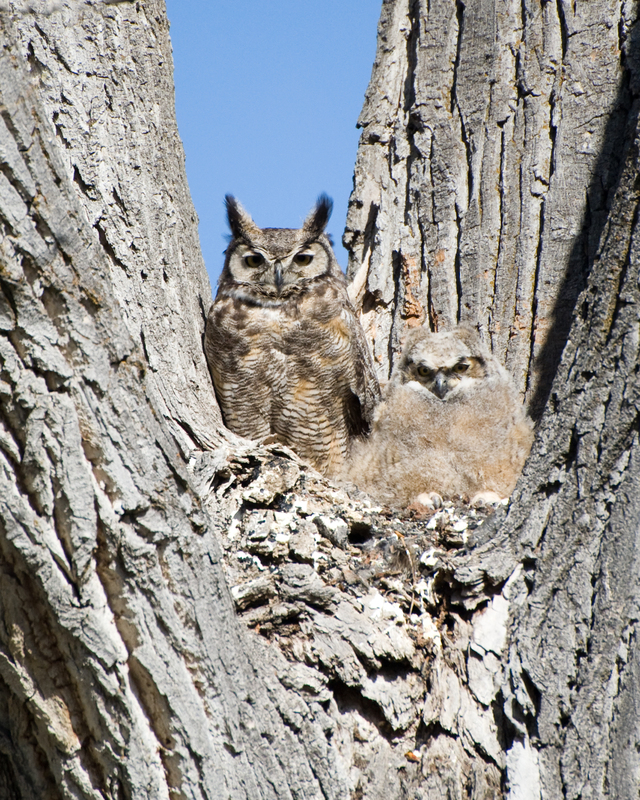 For Wild About Utah, and the Quinney College of Natural Resouces, I’m Holly Strand. Ryan P. O’Donnell, XC98068. Accessible at www.xeno-canto.org/98068. Bingham, Lyle. 2009. The New Dove in the Neighborhood. Wild About Utah Program https://wildaboututah.org/the-new-dove-in-the-neighborhood/ October 8, 2009. European Environment Agency, 2012. The impacts of invasive alien species in Europe EEA Technical report No. 16/2012. EEA, Copenhagen. National Invasive Species Information Center (NISIC): Gateway to invasive species information; covering Federal, State, local, and international sources. By late summer, most of Utah’s flowering plants have fizzled out for the year—those that remain are looking pretty spent. But not true for the sagebrush. It’s show time for over 20 types of sagebrush of the Intermountain West. Like grasses and conifers, sagebrush plants are pollinated by the wind. They have no need for the specialized traits designed to attract live pollinators. Instead, they have evolved other strategies to survive and multiply. For instance, wind-pollinated plants don’t need showy, colorful petals to attract insects or birds. The wind is going to do its job anyway regardless of visual cues. Thus sagebrush flowers are very small and nondescript. In fact, when passing by flowering sagebrush you might not even notice that it’s in bloom. Look for long spikes with clusters of tiny flower heads. The pale yellow flowers are concealed by petal-like bracts, which are the very same color as the rest of the plant. While the flowers of sagebrush lack in beauty, they make up in quantity. 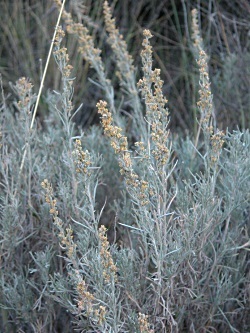 A single flowering stem of the most common sagebrush—known simply as big sagebrush–can hold hundreds of flower heads that produce a massive amount of pollen. Most wind-blown pollen grains won’t end up anywhere near the female part of another plant. So to make up for this risky method of fertilization, individual plants must produce greater volumes of pollen. In contrast, plants with live pollinators get door to door service during fertilization. Far less pollen is needed to get the same job done. Scent is another way for plants to attract live pollinators. Species pollinated by bees and flies have sweet scents, whereas those pollinated by beetles have strong musty, spicy, or fruity odors. However, the iconic western scent of the sagebrush has absolutely nothing to do with pollination. 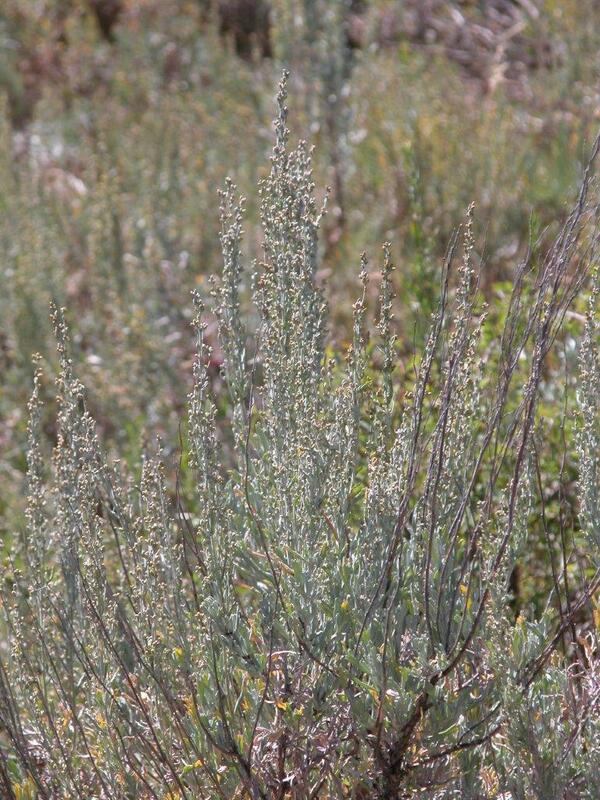 Instead, the pungent aroma of the sagebrush is a by-product of certain chemicals produced in the leaves. These chemicals evolved to repel animals and to reduce the odds of being eaten or grazed. The chemicals—bitter terpenes, camphors and other secondary compounds–—peak in early spring. But as the late-summer flowering period approaches, the chemicals start to break down. By winter, browsers like deer and elk can nibble on the protein-rich seed heads without getting a nasty aftertaste. If you’d like a hard copy of this Pocket Guide, send an email to wildaboututah@gmail.com We have 5 copies to give away to listeners from across the state. 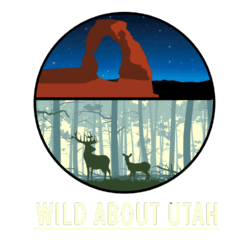 For Wild About Utah and the Quinney College of Natural Resources, I’m Holly Strand. NOTE: The copies are gone. You can view the book as a .pdf here or check here for the next printing from http://www.sagestep.org/pubs/brushguide.html. Shultz, L. M. 2006. 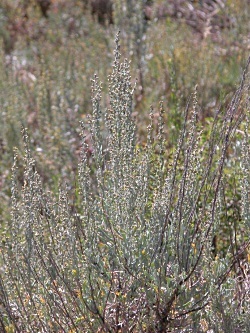 The Genus Artemisia (Asteraceae: Anthemideae). 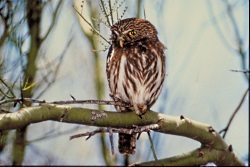 In The Flora of North America north of Mexico, vol. 19: Asterales, pp. 503–534. Flora of North America Editorial Committee, eds. Oxford University Press. New York and Oxford. VanBuren, R., J. C. Cooper, L. M. Shultz and K. T. Harper. 2011. Woody Plants of Utah. Utah State University Press & Univ. Colorado. 513 pp. World Cup Colombian soccer player James Rodriguez isn’t the only one with a flying insect problem. For several weeks many Utahns have been coping with a bumper crop of miller moths. These dusty gray nuisances have been mobbing our lights, dive bombing our heads and plopping into our nightstand water glasses. 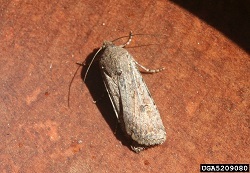 Miller moth annoyance levels seemed highest along the Wasatch Front but other areas experienced high numbers as well. 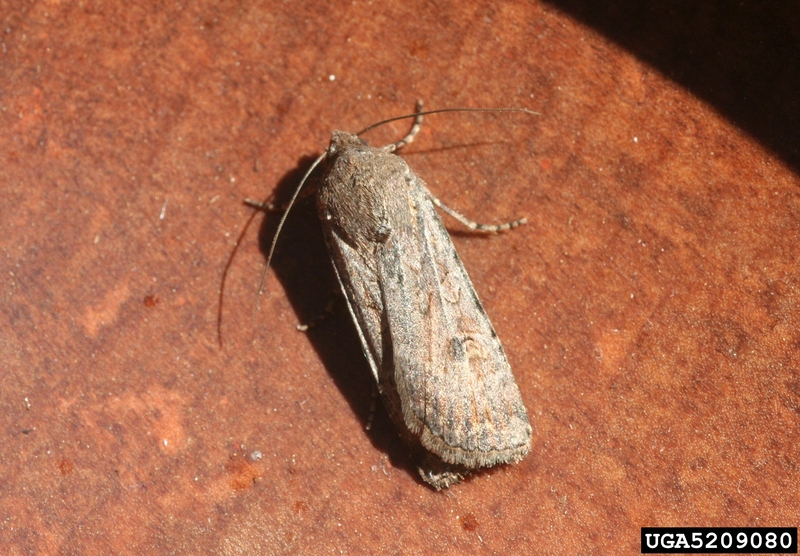 Miller moths begin their lives as army cutworms. 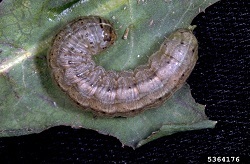 The larvae eat their way through the winter chomping on winter wheat, alfalfa, and many other types of crops and plants. After eating all winter, the army cutworms burrow into the ground to pupate. They emerge six weeks later with a yen for flower nectar. 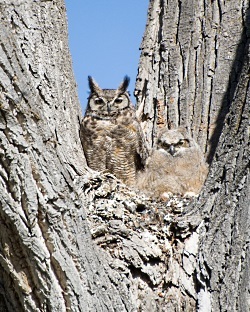 This sets them migrating to the alpine elevations of the Wasatch and Uinta Mountains. However, flowery trees and gardens along the Wasatch front are powerful diversions; thus our yards function as filling stations along the miller moth migration route. Army cutworm populations soar during relatively warm winters with little snow cover. And that’s what happened this year in the south central counties of Utah. And that’s why we have so many moths now. But to keep this issue in perspective—know that the numbers we see in UT are nothing compared to the annual invasions experienced by populations on the Rocky Mountain front range. In Denver, annual spikes in vehicle crashes, therapist visits and broken light fixtures clearly coincide with the influx of miller moths. Luckily, the moths are no more than a nuisance – they won’t eat your food or damage clothing or upholstery. And while sometimes it seems as if they are targeting your head, they really aren’t. If they are in your house, it’s because they were seeking shelter from the daytime predators by seeking a dark crack or crevice to crawl into—and then got into your house by mistake. If you swat these unfortunate moths, they’ll get back at you. They leave a dusty gray, powdery mess. The powdery dust is really the moth’s tiny scales and is what gave the moth its name. For these scales are reminiscent of the dusty flour that covers the clothing of someone who mills grain. For a clean resolution to the problem, veteran miller moth killers from Colorado suggest you suspend a light bulb over a bucket of soapy water. Moths will flick off the bulb into the water. At our house we catch them with a butterfly net and set them free outside. For I imagine that they will be off to the mountains as quickly as possible after that experience. 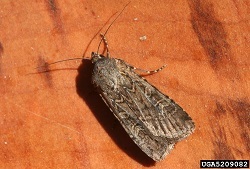 In early fall, the moths return to lower elevations to lay their eggs. Enough have died during the summer so we won’t notice them much if at all. But if next winter is also mild, we will be hosting our miller moth friends again. Thanks to USU biologist Diane Alston for sharing her entomological expertise.